Uncertainty and Risk: Multidisciplinary Perspectives (2008), Gabriele Bammer and Michael Smithson (eds), Earthscan Risk in Society Series, London, 382pp. Available in hardback, paperback and as an e-book. Uncertainty governs our lives. From the unknowns of living with the risks of terrorism to developing policies on genetically modified foods, or disaster planning for catastrophic climate change, how we conceptualize, evaluate and cope with uncertainty drives our actions and deployment of resources, decisions and priorities. In this thorough and wide-ranging volume, theoretical perspectives are drawn from art history, complexity science, economics, futures, history, law, philosophy, physics, psychology, statistics and theology. On a practical level, uncertainty is examined in emergency management, intelligence, law enforcement, music, policy and politics. Key problems that are a subject of focus are environmental management, communicable diseases and illicit drugs. Opening and closing sections of the book provide major conceptual strands in uncertainty thinking and develop an integrated view of the nature of uncertainty, uncertainty as a motivating or de-motivating force, and strategies for coping and managing under uncertainty. 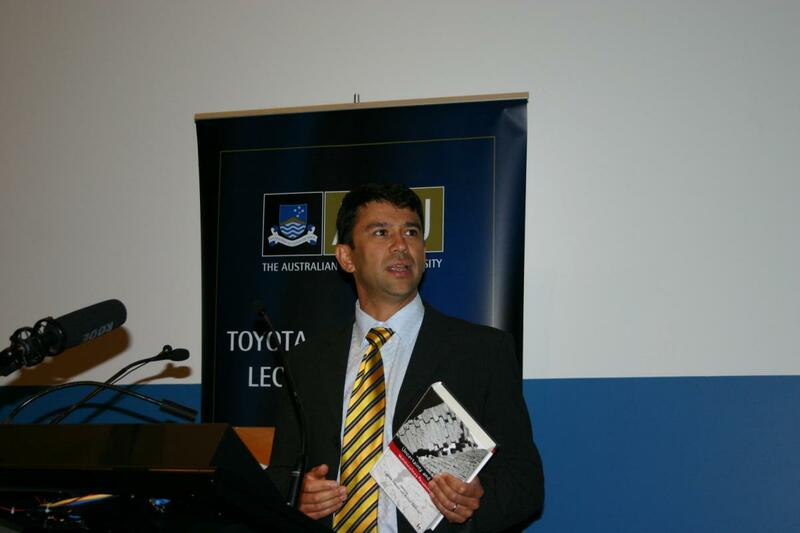 Uncertainty and Risk: Multidisciplinary Perspectives was launched by Professor Michael Wesley, Griffith Asia Institute and ARC Centre of Excellence in Policing and Security, on 8 May 2008 at The Australian National University. Audio recording is available as an MP3 file. 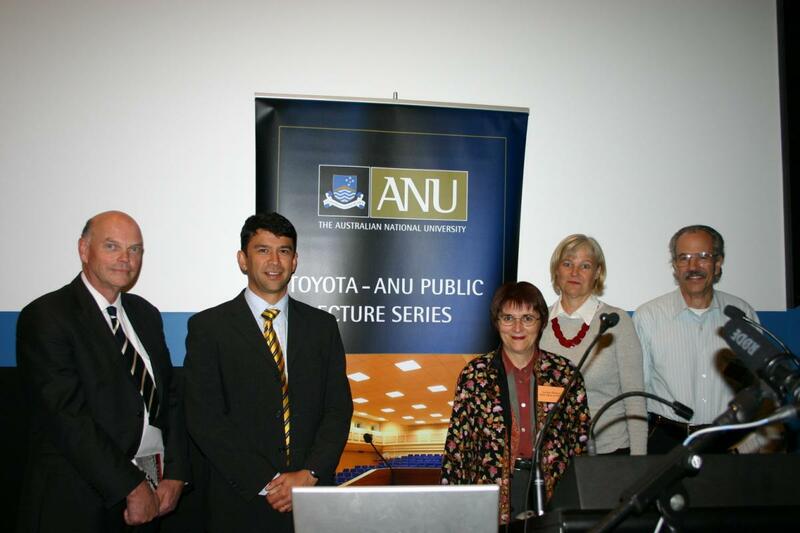 Those involved in the book launch on 8 May 2008 were, from left to right above, Professor Lawrence Cram (Deputy Vice-Chancellor, The Australian National University), Professor Michael Wesley (Griffith Asia Institute and ARC Centre of Excellence in Policing and Security), Professor Gabriele Bammer (National Centre for Epidemiology and Population Health, The Australian National University and Hauser Center for Nonprofit Organizations, Harvard University), Associate Professor Alison Ritter (Director, Drug Policy Modelling Program, University of New South Wales), and Professor Michael Smithson (School of Psychology, The Australian National University). Launching the book and discussing ‘Risk, Uncertainty and the Future of National Security’ was Professor Michael Wesley (Griffith Asia Institute and ARC Centre of Excellence in Policing and Security). Gabriele Bammer is a Professor at the National Centre for Epidemiology and Population Health at The Australian National University and a Research Fellow at the Hauser Center for Nonprofit Organizations at Harvard University. 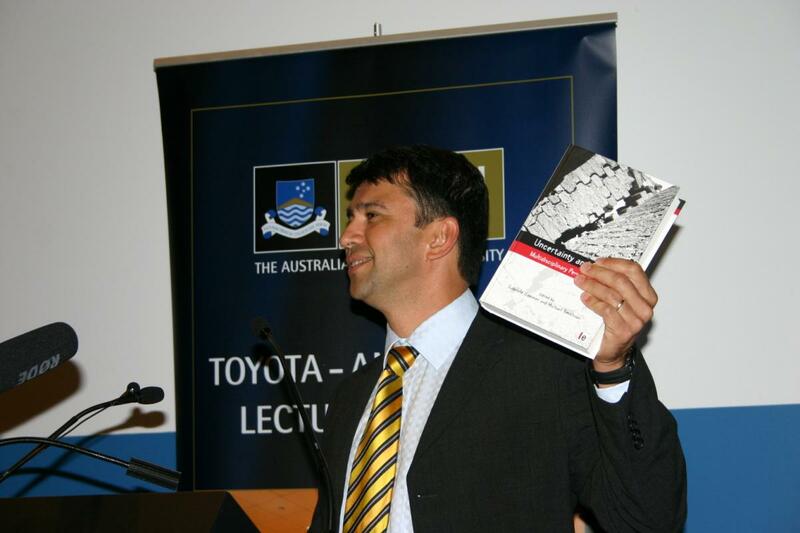 Michael Smithson is a Professor at the School of Psychology at The Australian National University. “This is a major, and deeply thoughtful, contribution to understanding uncertainty and risk. Our world and its unprecedented challenges need such ways of thinking! Much more than a set of contributions from different disciplines, this book leads you to explore your own way of perceiving your own area of work. An outstanding contribution that will stay on my shelves for many years”. Dr Neil T. M. Hamilton, Director, WWF International Arctic Programme. “This collection of essays provides a unique and fascinating overview of perspectives on uncertainty and risk across a wide variety of disciplines. It is a valuable and accessible sourcebook for specialists and laypeople alike”. Professor Renate Schubert, Head of the Institute for Environmental Decisions and Chair of Economics at the Swiss Federal Institute of Technology. “This comprehensive collection of disciplinary perspectives on uncertainty is a definitive guide to contemporary insights into this Achilles’ heel of modernity and the endemic hubris of institutional science in its role as public authority. It gives firm foundations to the fundamental historic shift now underway in the world, towards normalizing acceptance of the immanent condition of ignorance and of its practical corollaries: contingency, uncontrol, and respect for difference”. Brian Wynne, Professor of Science Studies, Lancaster University. “Bammer and Smithson have assembled a fascinating, important collection of papers on uncertainty and its management. The integrative nature of Uncertainty and Risk makes it a landmark in the intellectual history of this vital cross-disciplinary concept”. George Cvetkovich, Director, Center for Cross-Cultural Research, Western Washington University. Peace, Chris. (2012). Living with Uncertainty [review of the book Uncertainty and Risk: Multidisciplinary Perspectives]. In, Risk Management Ltd. Retrieved June 2012, from from: https://i2s.anu.edu.au/wp-content/uploads/2014/04/Uncertainty.pdf. Regős, Gábor (2012). [Review of the book Uncertainty and Risk: Multidisciplinary Perspectives]. Journal of Risk and Insurance, 79, 2: 591-593. Misra, Krishna B. (2010). Uncertainty and Risk: Multidisciplinary Perspectives [review of the book Uncertainty and Risk: Multidisciplinary Perspectives]. International Journal of Performability Engineering, 6, 6: 594. Heyman, Bob. (2009). Risk and Uncertainty: A Review of Three Recent Texts [review of the book Uncertainty and Risk: Multidisciplinary Perspectives]. Health, Risk & Society, 11, 1: 87-90. Simons, Greg. (2009). Uncertainty and Risk: Multidisciplinary Perspectives [review of the book Uncertainty and Risk: Multidisciplinary Perspectives]. Journal of Contingencies and Crisis Management , 17, 2: 141-141. Ignorance and uncertainty: Academic Orphans. (2008). [Review of the book Uncertainty and Risk: Multidisciplinary Perspectives]. Decision Point, 23, October. Retrieved June 2015, from: https://i2s.anu.edu.au/wp-content/uploads/2014/04/DPoint_23.pdf. Eckermann , Liz. (2008). Uncertainty and Risk: Multidisciplinary Perspectives [review of the book Uncertainty and Risk: Multidisciplinary Perspectives]. Australian and New Zealand Journal of Public Health, 35, 1.